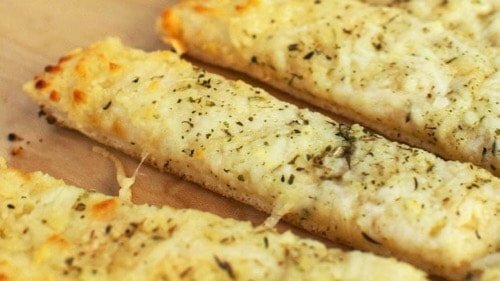 There’s nothing that tastes better than a pan of cheesy, garlicky breadsticks. This keto cheesy garlic bread calls for few ingredients and is easy to make! There's nothing that tastes better than a pan of cheesy, garlicky breadsticks. This keto cheesy garlic bread calls for few ingredients and is easy to make! Remove from oven and chow down!